For some people, living in a tiny house means giving up on having friends and family over to visit. However, this doesn't have to be the case! 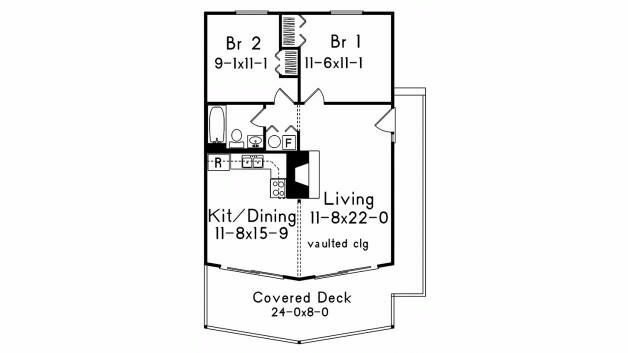 If you plan it out well, it's perfectly possible to have plenty of space for entertaining in your tiny home. 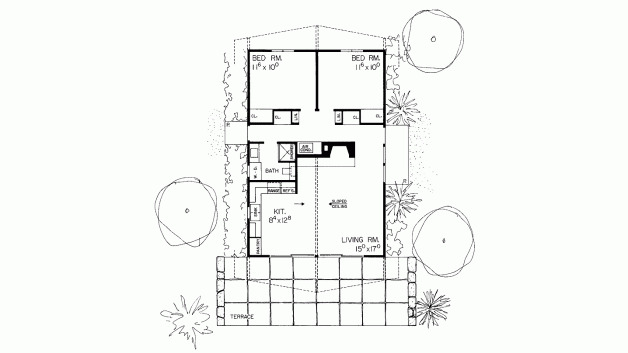 The following floor plans are perfect examples of how it's done; they all have inviting features like large decks, open-concept living areas and cozy fireplaces. 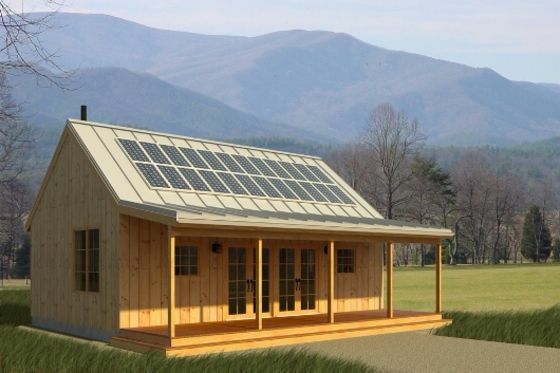 Get ready to start dreaming about a tiny home that makes having company a breeze! 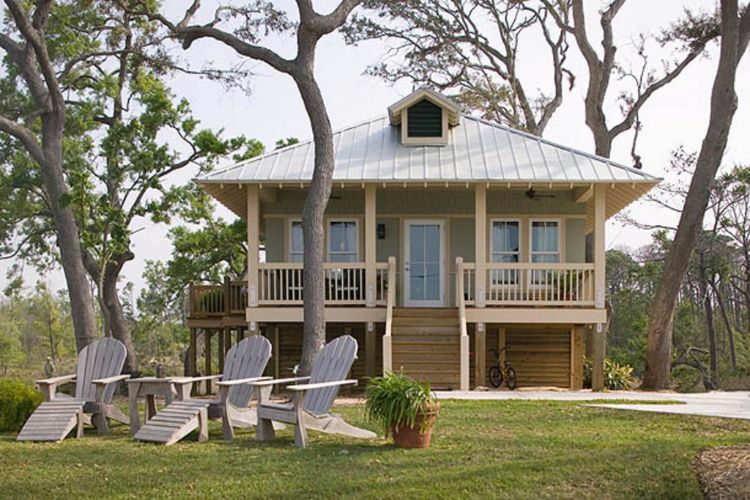 This charming little cottage from Architectural Designs comes in at 696 square feet (65 square meters), and it boasts a large deck perfect for easy outdoor entertaining. Glass doors open directly into the living room, behind which is a large eat-in kitchen. A second door here leads out to a small entry porch. 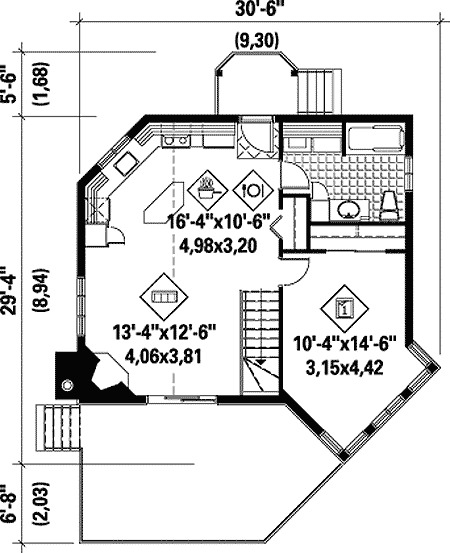 A bathroom with a tub is in the back-right corner of the home, while a uniquely shaped bedroom with a box window is in the front-right corner. 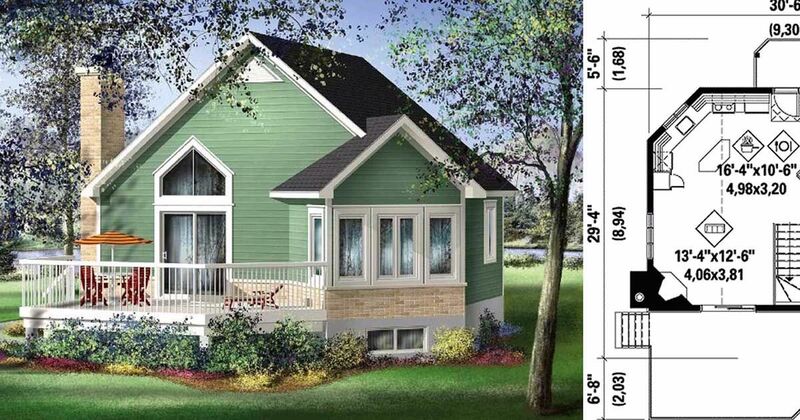 Measuring 864 square feet (80 square meters), this cozy home from Floorplans would be great as either a vacation retreat or an everyday home. A large terrace is accessed through sliding glass doors in the kitchen and living room. This space also boasts a large fireplace. A bathroom is situated behind the kitchen, and two equally sized bedrooms are located at the very back of the home. 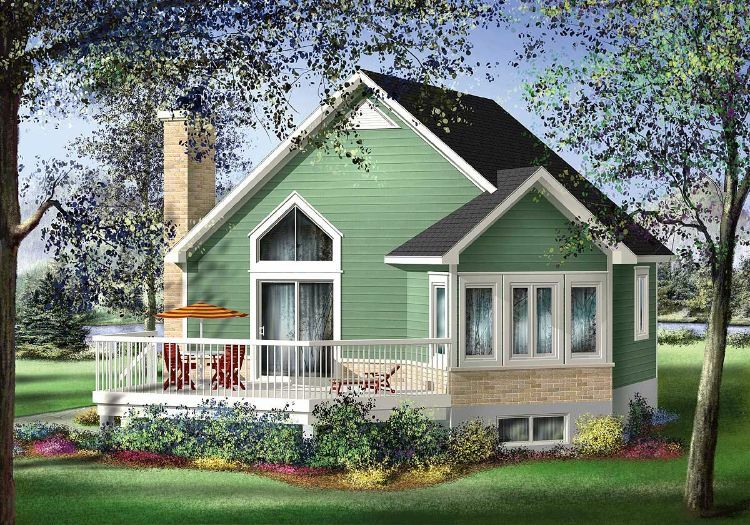 This rustic design from Houseplans comes in at 704 square feet (65 square meters), and it can be entered through either double French doors on the wide porch or a single door on the other side. The French doors lead directly into the main living space, which boasts an open-concept design and a cozy fireplace. The single door opens into a convenient mudroom, which provides access to the bathroom. The bedroom is in the back-left corner of the home. 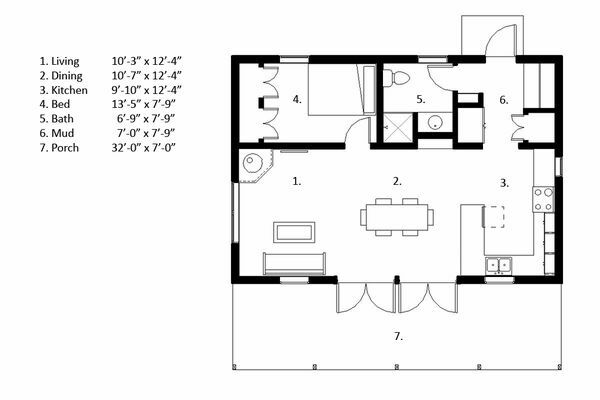 At 892 square feet (83 square meters), this floor plan from Architectural Designs is perfectly suited to entertaining. The front door opens into a small tiled foyer with a coat closet, and the living room is directly off to the right. 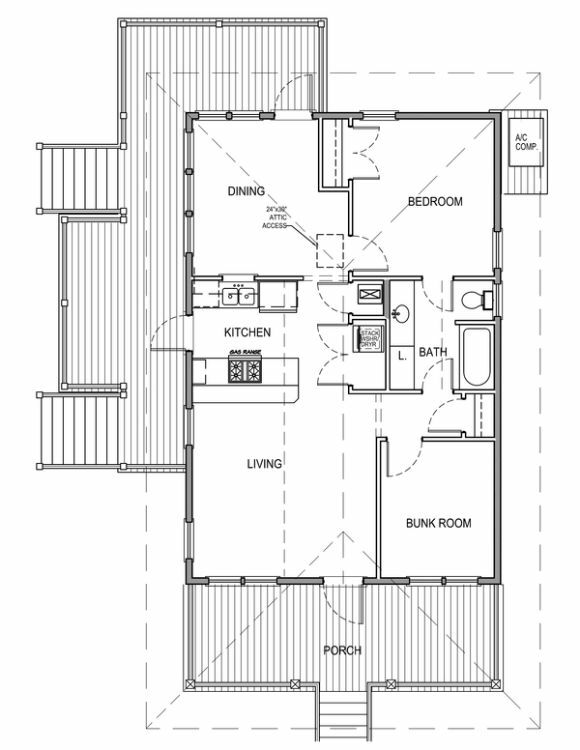 A raised kitchen and dining area is behind the living room; the kitchen features an island with an eating bar. A small hallway off the kitchen leads to two bedrooms and a bathroom on the left side of the home. 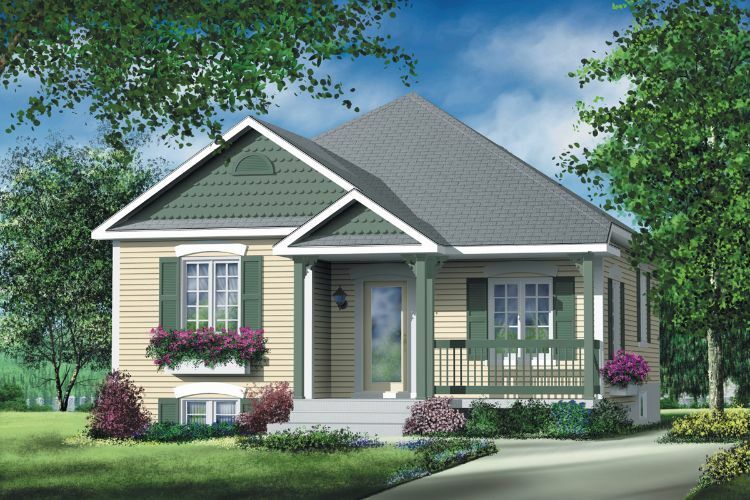 This charming Southern-style home from Houseplans comes in at 869 square feet (81 square meters), and it features a large porch at the front as well as one on the left side. The living room, kitchen and dining room are all on the left side of the home; this space can be accessed through doors on both decks. 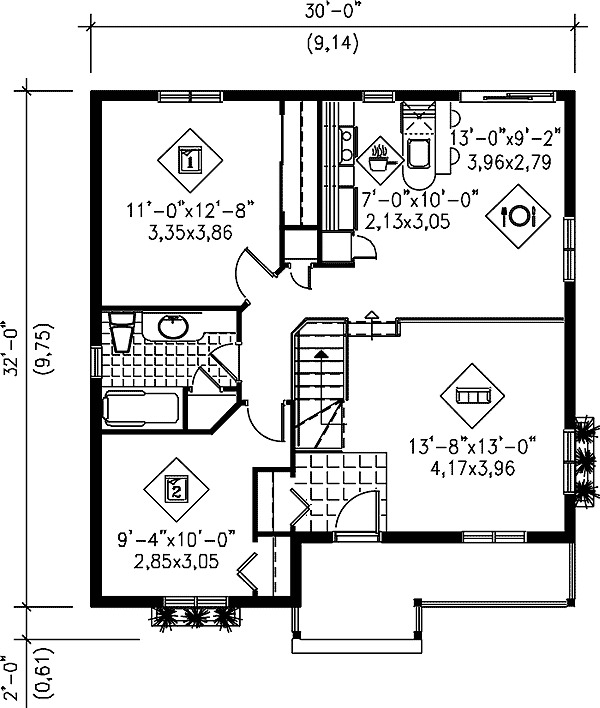 Two bedrooms are located on the right side of the home, and they share access to a bathroom with a tub that's set between them. 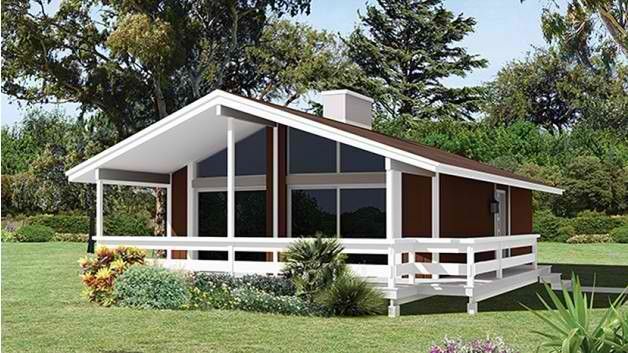 Measuring 792 square feet (74 square meters), this design from Floorplans boasts charming exterior features like a wraparound deck and floor-to-ceiling windows at the front. 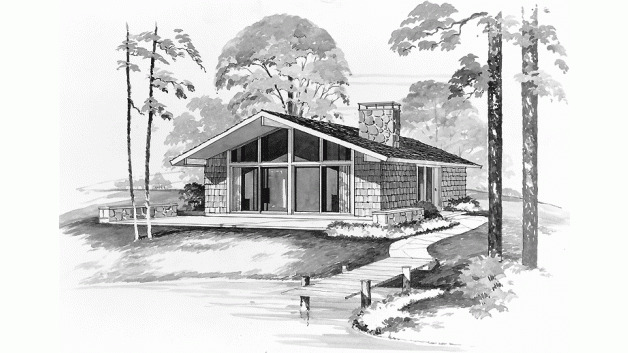 The home is entered through a door on the right side, which opens directly into the main living area. Vaulted ceilings and a large fireplace make this an excellent place to host intimate gatherings. Two bedrooms and a bathroom with a tub can be found at the back of the home.